Tropical fish & coldwater fish , Sea Bass , Barramundi , Tilapia fingerlings exporter from Thailand. We supplied quality fish and plants from sources. 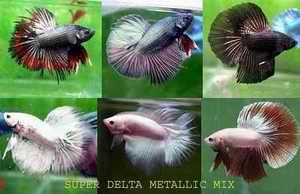 We've varieties of Betta and for all markets. 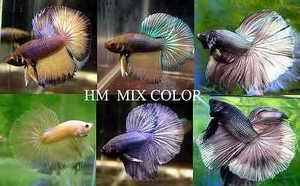 The popular Veil-tail Betta is always highly demand. We can supply to wholesalers by individual packing by quantity more than 15,000 heads per shipment. 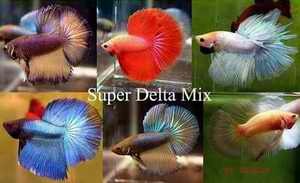 Bettas are one of the most recognized, most colorful, and often most controversial fish in the freshwater hobby. Debates range on about the appropriateness of keeping them in small bowls. To fully understand their needs it is important to become familiar with their native habitat. 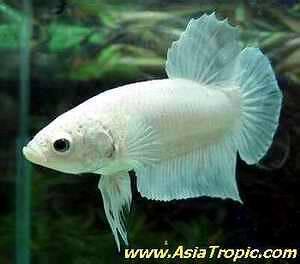 Bettas originate in the shallow waters in Thailand (formerly called Siam, hence their name). They proliferate rice paddies, shallow ponds, and even slow moving streams. 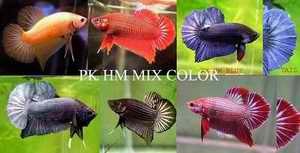 We also prepared special stock of other exotic Betta such as Halfmoon, Superdelta, Crowntail, and wild Betta such as Betta imbellis, Betta smaragdina, Betta mahachai, Betta pi, Betta pugnax, Betta Simplex, Betta palida, etc.